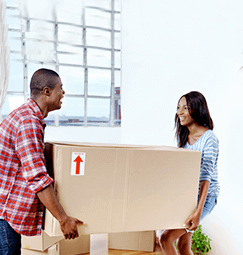 Buying a new home is an exciting journey. You get to imagine the memories you, your family and your friends will create within those walls. It’s of the utmost importance that you discover the right home for you. However, with so many different homes at so many different prices, it might be intimidating at first. Are you sure you have a big enough deposit? Should you take out a loan? What should you watch out for? At the end of the day, it comes down to savings. Saving for a home requires some sacrifices, but it’s not like you’re going to have to live in squalor for the time being. The secret is in making a financial plan, setting a budget, and sticking to it. It may be a tough change at first; but, when you are signing the papers and that dream home is actually yours, you’ll feel on top of the world. You may have to delay buying a home and be forced to rent longer. You could have to work more or draw from other funds (like retirement accounts). The seller may opt for another buyer who has a higher deposit. Prices may have already risen substantially, by the time you have actually saved enough. Home ownership is a way to build wealth. Postponing ownership, or foregoing it altogether, can greatly decrease your net worth in the long-run. By saving for a home today, you make any one of these scenarios less likely. Having a plan means peace of mind; because, if you follow it, you’ll have the money to purchase your dream home. But how much should you save for a down payment? The recommended rule of thumb is to save 25 percent and no less than 20 percent, which will cover the down payment and all other taxes and closing costs. Paying a higher deposit may cause the seller to give a better price, but putting down a large deposit isn’t always best. There are a couple of things to keep in mind. First, don’t take the down payment from your emergency funds, as you may need to do emergency repairs on your newly-bought home (plumbing, leaking roofs, etc.). Second, if you can get a higher investment rate than your loan rate, it is smarter to make a smaller down payment, so you may put more of your money into an investment that gives you a higher return. Be smart; that way, the next time you look at a home you just have to have, you can have it. Just think how wonderful that will feel. You’ll probably want to celebrate. Not all homes are created equal. 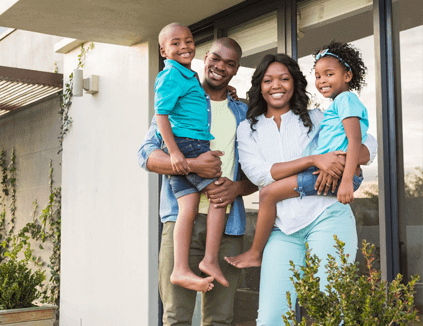 So, when you’re thinking about the place you want to raise a family, retire to, or transform as a rental for tenants, you need to know the strengths from the weaknesses. New development: These have just been built, which means that they’re likely made from stronger, better materials, they’re clean, and they’ll require little maintenance to start. What’s the disadvantage? These are almost always the most expensive option. Older Home: Older homes can be more complicated. They’ve survived families before you, which is a good sign. They’re not as expensive as new developments, but they’re also likely to have more issues. It’s very important that, before you buy, you have the place examined by experts, like plumbers, electricians, and structural engineers, to make sure everything is still intact. Strata: Commonly known as apartment complexes or townhouses, buying or renting strata can be a smart choice, especially if money is an option. Some love such an experience and use it as an excuse to get to make new friends; while others may prefer their privacy. Regardless, it can mean added (physical) security, which is always a plus. However, there is also the monthly maintenance fee, which you’ll need to factor into, on top of the monthly mortgage payment. Find out where you can spend less: Instead of a fancy dinner on the town, stay in and cook a tasty meal. Instead of a nice beach vacation, go hiking. There are so many ways to spend less and create great memories while you’re at it. Create a budget: Figure out how much you need to save for a house, and then build a budget around that. Once you have reduced excessive expenditure, saving towards your deposit will be so much easier. Make savings automatic: It’s much easier if your house savings is automatically set aside. Create a dedicated account, so you always have enough put away. If you come into more money, save most of it: Maybe you just received a nice bonus at work, or maybe your grandma just gave you an early (cash) birthday present. Don’t splurge. Save it! Find other ways to earn more money: If you have a profitable skill or hobby, why not use it to make a little extra money? A part time job can take the edge off of expenses around the house. If you can fix cars, bake, sew, or create handicrafts, you can easily create a secondary stream of income. You don’t need to work to excess, but an extra few hours here and there can really pay off in the long-run. Keep your hands out of this jar: Sure, a good deal on a new smartphone may make it tempting, but don’t tap into your house savings. It’s off-limits. Have enough for the down payment...and mortgage payments: It’s easy to stop saving once you’ve hit your down payment limit. But remember, you’ve got mortgage payments to make now, too. Saving for both is crucial. Let’s not forget to save towards closing costs: On top of your down payment, you’re also going to have to pay taxes and other closing costs. Have an emergency fund: Having an emergency fund will let you be prepared for any little emergencies that pop up with home ownership (leaks, flooding, damage, etc.). Part of saving for a house is saving for what happens when things go wrong. Talk to our experts: We want to help make your dream of home ownership a reality. We are here to listen to your goals and assist you in creating a plan that gets you to that goal. One of the best ways to do this is through our qualified, home loan program. Please speak with us, and let’s explore your options together. Looking to build your wealth?